Ideal for children learning to write, these Edding Handwriter pens feature a robust plastic nib and water based ink, which is washable from most textiles at 40 degrees Celsius. The medium tip writes a 0.6mm line width. 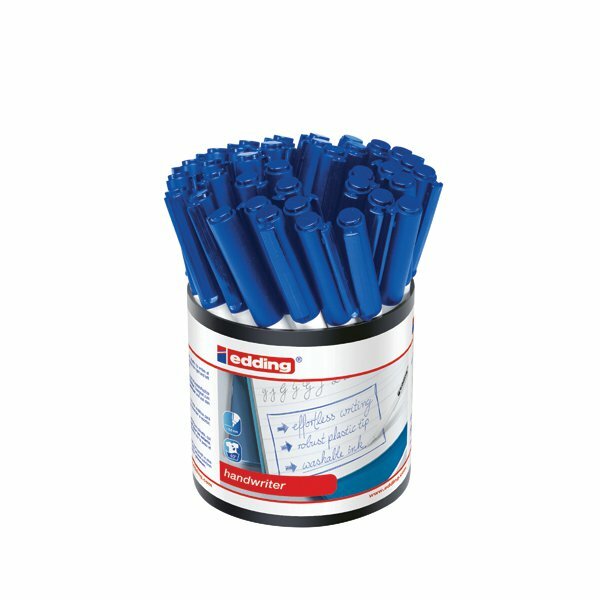 This bulk tub contains 42 pens with blue ink.